Care Baby seat / Redness installed. For the comfort of a soft and healthy skin redness protected. Eryteal is the generation of the skin due to its vitamin A and essential fatty acids (omega 3) are natural constituents of the epidermis. 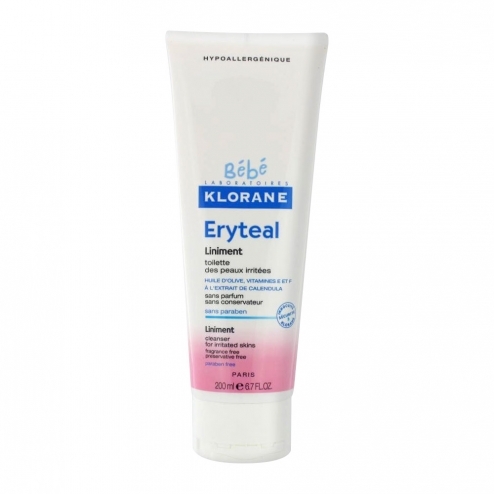 Eryteal and helps to eliminate redness through c�rimonium which limits the growth of bacteria. Baby finds the comfort of a soft and healthy skin. Apply with a cotton pad, buttocks or irritated and gently clean area. INCI formula: Olea Europea (olive) fruit oil (Olea europaea fruit oil), water (aqua), glycerin, caprylic / capric triglyceride, distearimonium, hectorite, elaeis guineensis (palm) oil, (oil elaeis guineensis) ethylexhyl palmitate , tocopheryl, acetate, BHT, calcium hydroxide, calendula officinalis flower extract, tetrasodium EDTA.